Illinois winter. The words conjure images of snow plows scattering salt on the highways, the wind blowing across frozen tundra, and snow and ice turning sidewalks and driveways into hazards. 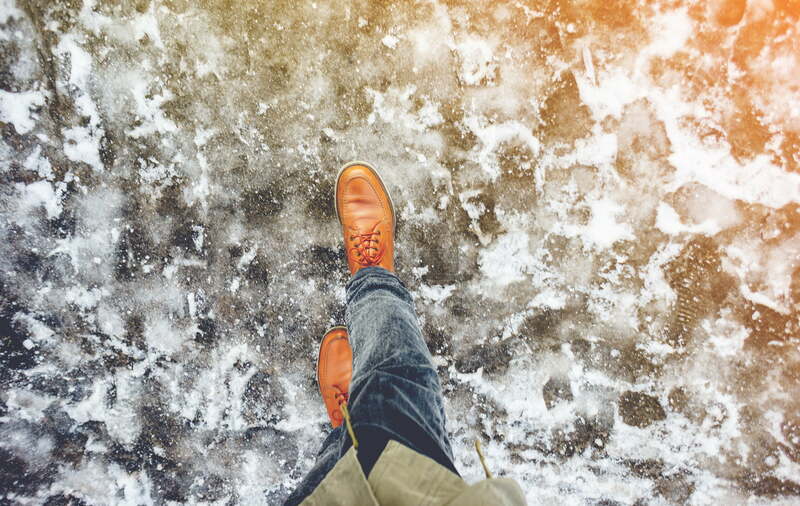 Unfortunately, those hazards can cause pedestrians to slip and fall on snow and ice, resulting in fractures, concussions, and even more severe injuries. If you slip and fall on icy pavement, you might be considering taking legal action to compensate for your pain and suffering. If so, make sure you act quickly and get the facts from an experienced personal injury attorney. You might be surprised to learn what Illinois law says about winter-related injuries. We talk with many clients who assume that because they’ve slipped on a snow-covered sidewalk, driveway, or parking lot on private property, they can successfully sue the business or resident for failing to take care of the hazard. That assumption is often wrong. Illinois law generally protects property owners from being liable when there is a natural accumulation of snow and ice. In fact, property owners have no duty to remove natural accumulations of snow or ice from their premises. Examples of natural accumulations might include untouched, fallen snow; drifts caused by wind; or ice formed by freezing conditions. For the property owner to be liable, you have to prove that they actually caused the conditions that created the slip and fall. For example, a property owner might be liable if they do such a sloppy job shoveling the snow that they actually create a hazard, such as a pile of snow that spills over on to their driveway. Per Illinois law, a business might also be held liable for falls based on negligent design or maintenance of the underlying pavement. For example, we once successfully represented someone who slipped on the ice in the parking lot of an automobile dealership. The dealership was liable because they had attempted to use spouts to divert rainwater from their building to a sewer in their parking lot. Instead of flowing unobstructed to the sewer, the water got caught in potholes and divots in the parking lot and created ice hazards, one of which caused our client to slip and fall. Nevertheless, if you’ve slipped and fallen on the ice, and you think you might have a case, get legal advice. You just don’t know for sure until you consult with an attorney. Whatever you do, act promptly. Get photographic evidence and get to an attorney. The sooner you act, the sooner you’ll get help.  Call Capron & Avgerinos now at (855) 208-3904 if you need help with a personal injury case in Illinois or Iowa. As your Illinois and Iowa Injury Network, we are ready to assist you over the phone or in person. We perform our cases on a contingent fee basis, which means we are not paid unless you recover compensation for your claim. Call Capron & Avgerinos at (855) 208-3904 – let us show how we can deliver results for you. 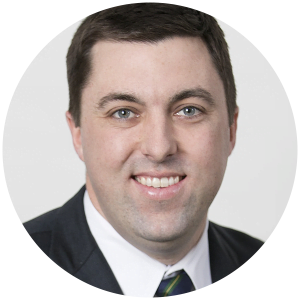 Matthew Heinlen is an attorney with Capron & Avgerinos with an emphasis on industrial accidents, personal injury matters, and workers' compensation.